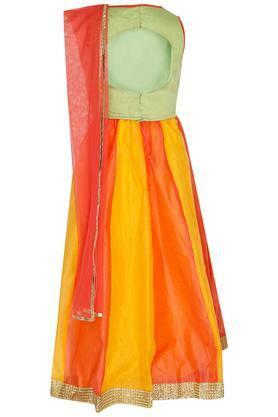 Make your little daughter look gorgeous by letting her wear this ghaghra, choli and dupatta set brought to you by Stop. Its choli comes with an embroidered pattern, which is the main attraction while the ghagra and choli is in different shades further make an excellent contrast. 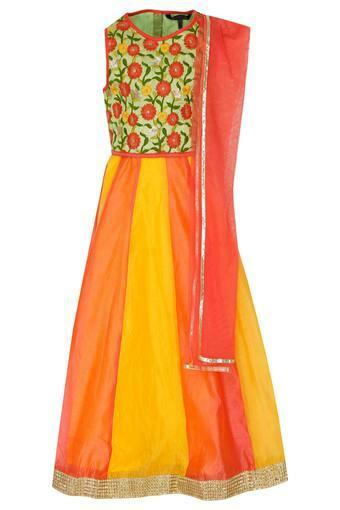 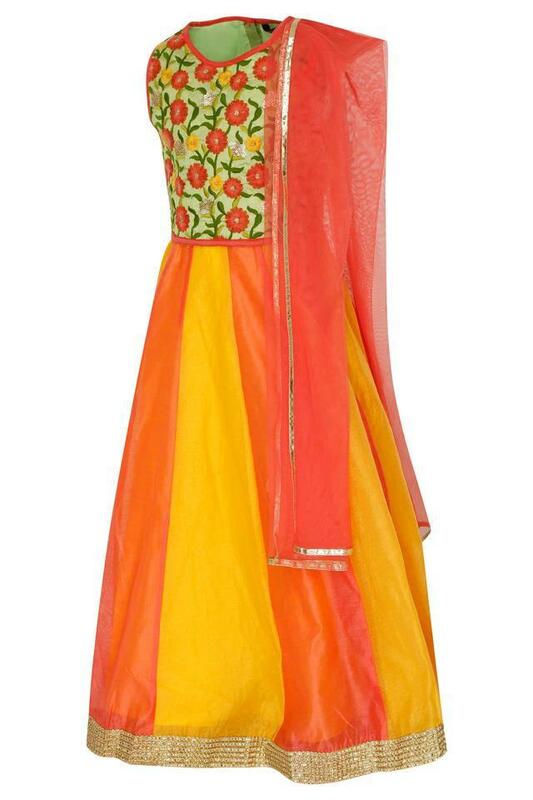 Great for parties, this ghaghra, choli and dupatta set will be an endearing choice for your daughter. You can make your girl wear it with a pair of sandals and beautiful accessories for a complete look.